In legal jargon, a do-it-yourself divorce is a "pro se" divorce. You don't use an attorney, you prepare your own paperwork, you appear by yourself at all hearings. Pro se is a Latin term meaning "for yourself." You have this option in all states, including Rhode Island, but it helps to have an understanding of divorce procedures going in, especially if you have considerable assets involved. Rhode Island requires considerable paperwork when you file for divorce. You must prepare a complaint, telling the court about your marriage, your spouse and your children, if you have any. You must attest that either you or your spouse has lived in the state for the required period of time to be able to file – one year. You must cite your grounds – the reason the court should grant you a divorce. Most important, you must explain what issues you want the judge to decide for you if you and your spouse can't reach a settlement agreement. If you don't include this information, you can't add things later without amending your complaint. You must state whether you want your case to proceed on a nominal track or a contested track. If you choose nominal, it means you expect to reach an agreement with your spouse. You must also complete and file a DR(6) statement. This is a financial affidavit detailing your assets and liabilities. After you file your paperwork with the court, you must serve a copy on your spouse. In Rhode Island, this is typically accomplished by the county constable. Your spouse has 20 days within which to file his answering pleadings with the court. If he doesn't, he's defaulted, and the court will generally give you whatever you asked for in your complaint. Assuming your spouse answers your complaint, now it's time to nail down the details of your divorce. If you selected a nominal track, you have about 70 days to pull your case together before your court hearing. If you have unanswered questions regarding your marital finances, such as if you think your spouse is hiding assets, this is the time to engage in discovery. 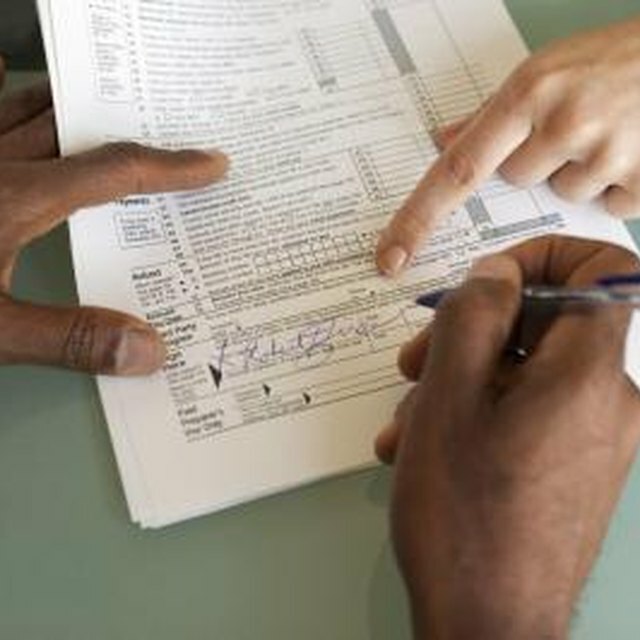 You can legally request documents from your spouse, such as copies of his pay stubs or account statements. You can ask him to answer written questions called interrogatories, which he must sign under oath. You can send subpoenas to third parties, requesting documents pertinent to your divorce case, such as information regarding your spouse's retirement plan. Rhode Island law doesn't require mediation except for unresolved issues regarding your children, but you have the option of attending if you think it might help with financial issues as well. An unbiased third party will help you try to resolve outstanding issues. If you selected the nominal track when you filed your divorce complaint, the court will notify you of the exact date of your hearing. If you and your spouse have reached an agreement on all issues, such as support and how you're going to divide your property and debts, you can submit it to the court in writing at this time. The judge will take testimony from you to ascertain that you reached the agreement willingly and that you understand its implications. If you're close to an agreement and just need a little more time, the judge will let you leave the courtroom and try to work things out in a conference room or even in the hallway. You can then go back to the courtroom and tell the judge what you decided. The court will issue you a divorce judgment three months later, incorporating your agreement's terms. You're not divorced until you receive this signed judgment. If you and your spouse can't agree, the court will switch your case from a nominal track to a contested track and schedule a date for a pretrial conference, then trial.